Eden’s Coffee Shop and Cocktail Lounge located at 14015 Ventura Boulevard. Sort of a baffle for me. This is the present day site of Cafe Codiale which has been in its present location since 1985. The building was pretty much rebuilt in 1995 after the 1994 Northridge Earthquake. The Scotty Building was permitted in 1965. Cafe Cordiale is in the Scotty Building. 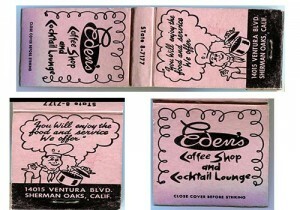 Eden’s Coffee Shop still existed in 1974 with an address of 14015 Ventura Boulevard. It must have been located within the Scotty Building. It also appears in my 1962 Sherman Oaks phonebook. Was it relocated into the Scotty Building? Help me solve this mystery! These unused, blue tip matches are probably pre-1965 because the phone number for Eden’s is STate 8-7177. In modern times this is 788-1777. ST or STate was the prefix for Sherman Oaks. 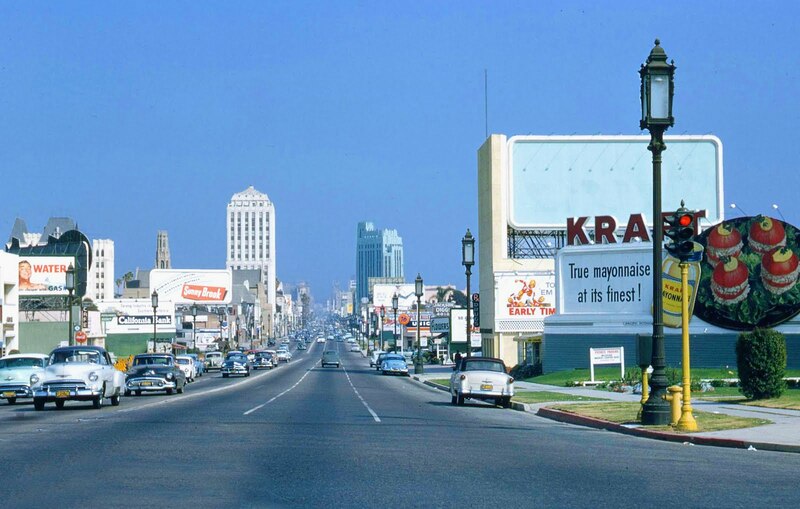 Yes, there was a time when 788 was the only prefix for Sherman Oaks. This went back to the days of operator assisted calls. One of my former friend’s father first had his accountancy business in the Scotty building during the late 1960s, early 1970s. Maybe I should see if he has a recollection of this fine coffee shop that used to serve both coffee, cocktails, and pie worth going to jail for. I’d ask my old friend’s pop, but he died in the state PENN on a murder for hire rap some time last decade.